Easy to buy, easy to like!A huge variety of products with the best deals, as well as flight and accommodation with discounts and exclusive benefits. 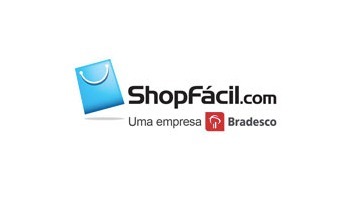 The ShopFácil.com gathers the best players of various market segments and has deals with prices and unique benefits. The only goal is to find the best deal for customers. Origin - we are part of the Bradesco Organization. Complete - Several partners in one place. Track your order online - All your purchases on the site, with any of our partners, are available on the tab My Orders. One cart - We are a marketplace which allows the purchase of any product website, several vendors at once. Security - Your data is protected by Digicert® following the rules of PCI®, stored safely in a kind of safe. Real-time information - Our product offerings, areas tickets and lodgings are updated in real time with our partners. ShopFácil.com service - Any questions, complaints or suggestions. As melhores ofertas do ShopFácil! Os produtos mais vendidos no ShopFácil! 18/02/2019, 17:59 New Banners in ShopFácil! New Banners in ShopFácil - loja de multiprodutos! 13/02/2019, 20:52 New Promotions in ShopFácil! Super Offer Promotions ShopFácil 2018 - loja de multiprodutos! Multiprocessador Oster Super Chef - 220V por R$294,40. 31/01/2019, 21:11 New Links in ShopFacility! Special Links in the Offer ShopFácil 2018 - multiproduct store! 14/01/2019, 22:02 New offers in ShopFácil! Offer ShopFácil 2018 - multiproduct store! Come check out the new promotions of the offer ShopFácil 2018 - multi-product store and increase your sales! 20/12/2018, 17:22 New offers and banners in ShopFácil 2018! New offers and banners in ShopFácil 2018! Increase your billing by working with the ShopFacility Campaign, New offer and banners available! 09/08/2018, 20:49 New promos, coupons and banners in Shopfácil! New promos, coupons and banners in Shopfácil! 27/04/2018, 19:03 New promotion in Shofácil!